Wild animals form strange alliances to survive. 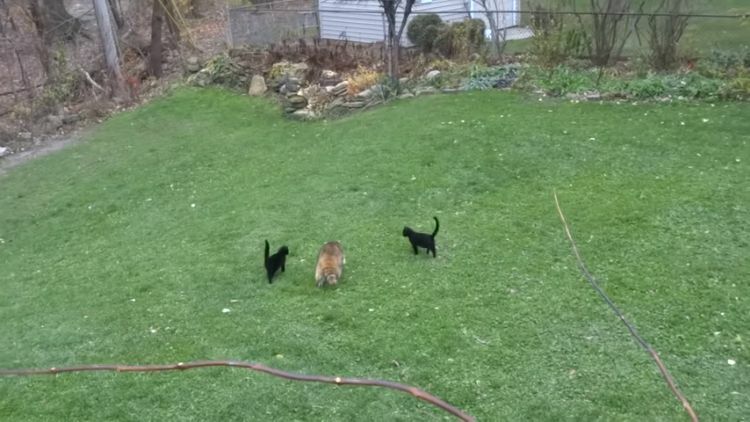 A blind raccoon and two kittens in the Chicago area enjoy a friendship forged in food and a need to live. Eryn06, a YouTube user, posted videos of a raccoon she dubbed Blind Raccoon. It had begun frequenting her back deck for about five years when she shared her famous video. According to Eryn06, "There is something wrong with his tapetum lucidum. His eyes shine bright green during the day. He is at least partially blind. He walks into things. He is afraid of the wind, high grass, birds, and snow." Eryn06 took to feeding the raccoon a mixture of soft pasta, cream of chicken soup and chopped up hot dogs or ham. Blind Raccoon got fed every morning and, sometimes, multiple times per day. 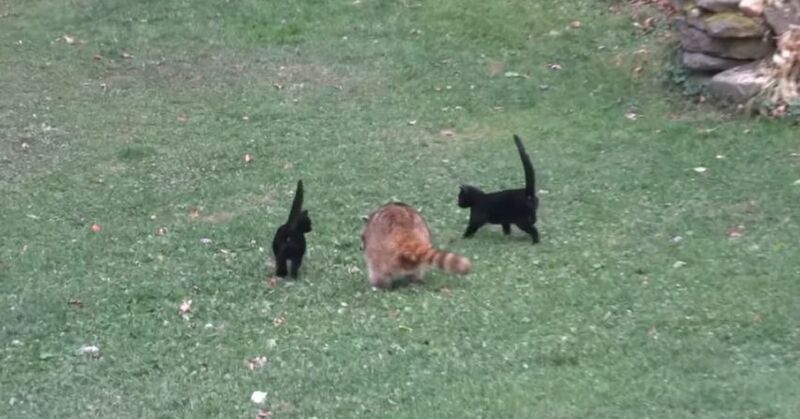 During the fifth year, two stray black kittens figured out Blind Raccoon's feeding schedule. Also needing to survive, the two kittens attached themselves to the raccoon, joining it whenever it went to the deck to eat. After eating, the two kittens seemed to act as bodyguards, ushering Blind Raccoon safely off the deck and to its home. 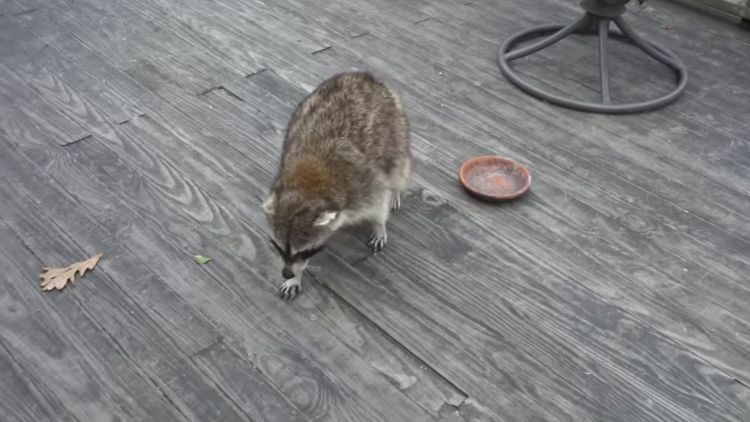 The fact that Blind Raccoon survived five years is, in itself, a miracle. Wild raccoons live on average two to three years, according to Nature. Those that are injured live even shorter periods of time. Eryn06's act of grace and love for this wild animal allowed it to live a long and fulfilling life. Her reward was a set of black kittens that eventually became cherished pets. She experienced the fulfillment of the saying, "Do good to others, and good will come back to you."